Are Probiotics a Promising Treatment Strategy for Depression? Really? Never Brush Your Teeth Immediately After a Meal? New study considers concept of "psychobiotic"
Philadelphia, PA, November 14, 2013—Probiotics are not new, but their status as a nutritional buzzword is. 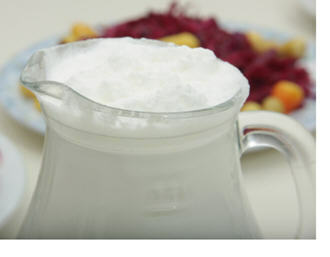 Most folks have now heard and seen the term countless times in commercials and advertisements, as yogurt, dietary supplement, natural food product, and even cosmetic companies promote their probiotic-containing products. But what are they, and why are they important? Probiotics are live bacteria that help maintain a healthy digestive system. The development and marketing of products that contain live bacteria has flourished as there is a growing perceived interest in the ingestion of 'natural foods' that might promote health. Many of the numerous health-improvement claims have yet to be supported scientifically, but these micro-organisms do exert positive effects in intestinal tracts, particularly when used to counteract the effects of antibiotics, which kill both 'bad' and 'good' bacteria. Indeed, the first known description of probiotics occurred in 1908 when a Russian scientist named Élie Metchnikoff observed that rural Europeans who regularly consumed fermented milk product had longer life spans. Over the past few years, studies have been undertaken to explore the possible impact of probiotics on behavior. It is within this context that the concept of a psychobiotic has arisen. The authors of a new review article in Biological Psychiatry, Timothy Dinan and his colleagues from University College Cork in Ireland, define a psychobiotic as "a live organism that, when ingested in adequate amounts, produces a health benefit in patients suffering from psychiatric illness." They review the evidence that these bacteria, when ingested in adequate amounts, offer enormous potential for the treatment of depression and other stress-related disorders. The gut microbiota, which contains approximately 1 kg of bacteria, can be modulated by diet and many other factors. It is not static and can change from day to day, starting at birth. Evidence has shown that even the form of delivery (vaginal versus cesarean) alters an individual's microbiota. Early life stress, such as maternal separation, is known to induce long-term changes in the microbiome. Dinan and his colleagues review one study that assessed the potential benefits of a specific probiotic, B. infantis, in rats displaying depressive behavior due to maternal separation. The probiotic treatment normalized both their behavior and their previously-abnormal immune response. This preclinical study and others like it strongly support the hypothesis that probiotics have the potential to exert behavioral and immunological effects. Some psychobiotics have been shown to have anti-inflammatory effects. This is important because depression and stress are both associated with inflammation in the body. Infectious diseases, such as syphilis and lyme disease, can also produce depressive states. Evidence suggests that immune activations, perhaps via psychobiotic action, could alleviate such states. According to the authors, "the intestinal microbial balance may alter the regulation of inflammatory responses and in so doing, may be involved in the modulation of mood and behavior." Human studies are still largely lacking, but a few have shown promising results. In one, healthy volunteers received either a probiotic combination (L. helveticus R0052 and B. longum) or placebo for 30 days. Those who received the probiotics reported lower stress levels. In a separate study, volunteers who consumed a yogurt containing probiotics reported improved mood. "What is clear at this point is that, of the large number of putative probiotics, only a small percentage have an impact on behaviour and may qualify as psychobiotics," said Dinan. "This intriguing new area of research may open new possibilities for the treatment of depression," said Dr. John Krystal, Editor of Biological Psychiatry. For now, we must all wait for scientists to conduct large-scale, placebo-controlled trials to provide definitive evidence. Press materials provided by Elsevier.